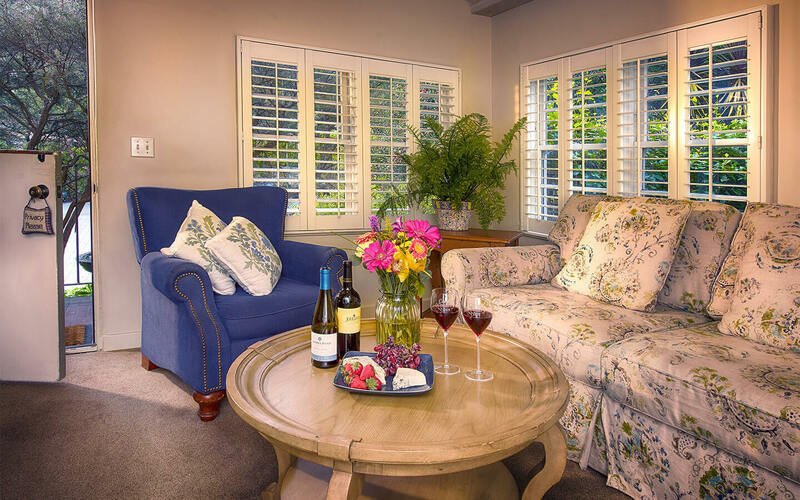 Perfect for families or two adults preferring separate sleeping arrangements, this cozy suite in our Carmel bed and breakfast is a corner unit. 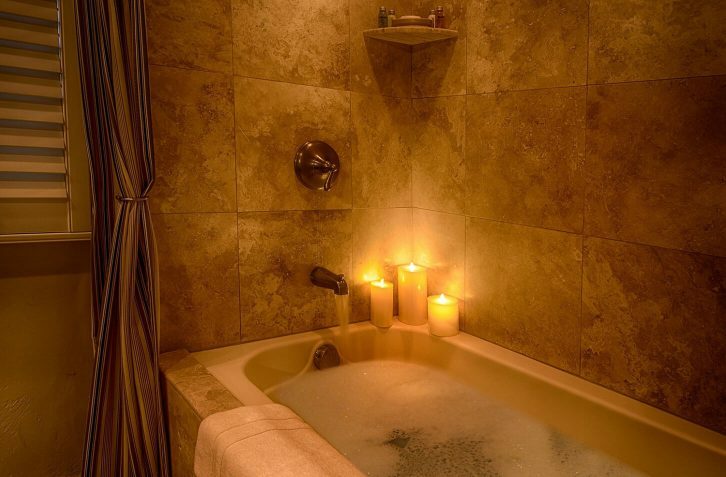 This suite accommodate 4-5 persons maximum, regardless of age. There is a $30.00 per day additional charge for the 5th person. 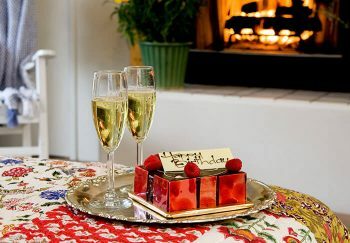 Chilled Sparkling Wine with Souvenir Carmel Country Inn Flutes, with your choice of Special Occasion Cake baked at our local Patisserie.